Call of Duty: Spooky Edition is out next month, even though it should clearly launch in Halloween, while ghosts are in fashion. So it’s probably time to wonder if your rig can handle it or if you’re due an upgrade. 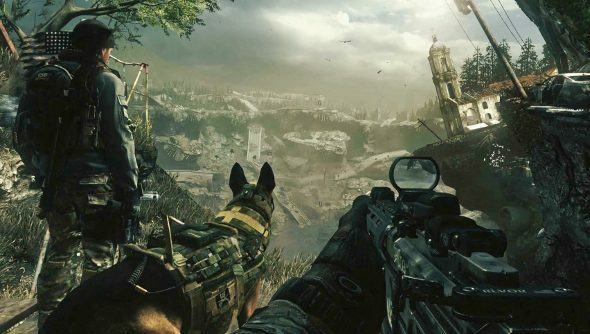 Conveniently, Call of Duty: The Haunting’s system requirements are now available for public consumption, possibly to be met with the gnashing of teeth and pounding of fists: yep, you’ll need a 64-bit OS. Slighty different from the requirements revealed by Nvidia, and quite a bit more demanding than competitor Battlefield 4’s minium requirements, needing 10GB more HD space, more memory and, of course, no 32-bit version. Call of Duty: Dogs and Ghouls launches on November 5th.